Commercial vans for business: Should you buy or rent? Before you begin to look for a van, you must decide whether you’re going to actually buy one or just hire it through a leasing agreement. For start-up companies on a tight budget, leasing or contract hire agreements may be the best option, as they allow you the use of a good quality van, in return for reasonably-priced monthly payments to a leasing company. This is far cheaper than paying a large sum upfront to purchase a van. The hire price is usually based on how much the van is likely to decrease in value over the lease period. These agreements are usually between 24 and 60 months long and they tend to take into consideration how many miles you expect to cover during the course of the lease period. There are a large number of different leasing companies available, some of which have a specific small business focus, although some tend to deal only with bigger firms. 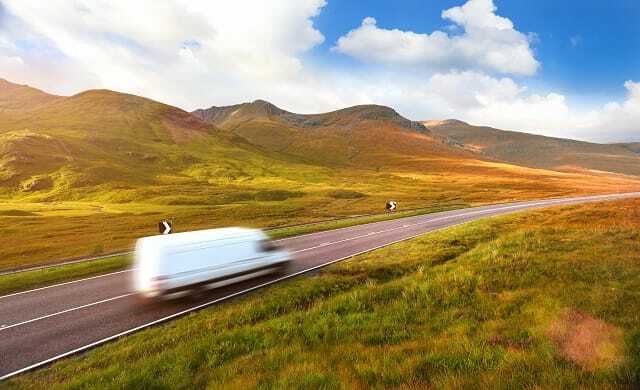 Contract hire comparison websites are a good place to start to help you find the most competitive deals, as well as leasing brokers, that may also help you to save money on your van hire. Once again, a good deal of research is necessary if you want to get the best deal for your business. If, however, you decide that you want to purchase a van, there are another two options to choose from: either buying a brand new vehicle, or buying a second-hand one. The latter is often more popular with small start-ups, for the obvious reason of cost, and it is not difficult to find a good quality and reliable second hand van, providing you do the research. Aside from independent van dealers, there are a number of reputable van auction sites where you can purchase brand new, second hand, or even ex-lease vehicles. To purchase a brand new vehicle, the obvious places to go to are the individual car manufacturers. There are many renowned names to choose from, as most of the car producers also make vans and other commercial vehicles. However, you may find that smaller independent dealers offer better prices for the same vehicle, so shop around for the best deal to suit your business. Make sure you decide on your budget before you start looking, and then stick to it; don’t let yourself be tempted into paying more by a persuasive salesperson. It might be worth taking someone who is more knowledgeable on vans than yourself, if you’re unsure of what to look for and what to avoid. Whether buying a brand new vehicle or a second hand one, it is crucial that you inspect it rigorously, making sure that everything is in good working order. Always take the van for a test drive because it will enable you to assess how it drives, and if it runs smoothly. Key things to check include: brakes, tyres, engine and gearbox. If you decide you like the van, the next step is to examine the paperwork; make sure the Vehicle Identification Number is correct, and ask about service history, such as when it’s due for the next Ministry of Transport (MOT) test. It’s paramount that you only sign a contract if you’re totally happy with the van and all the paperwork.